My first experience of Iron Palm (Iron Hand) was in Manchester Chinatown about 20 years ago. I was studying in one of the schools there. Often a number of visiting older kung fu guys popped in to visit the teacher, who was no spring chicken himself. One was an elderly gentleman, quite small. I was told by my senior kung fu brother that he had often broken fighters shins with his iron palm. I’d practiced karate and a little Thai boxing before and this guy did not look like a fighter. I thought I hid my scepticism well but I was a teenager so I probably didn’t. This resulted in me being asked to throw a roundhouse kick at the grandfatherly figure in question. After a few polite refusals and a few increasingly direct requests I did. It wasn’t the strongest kick I ever did, in honesty, I held back a little, but it wasn’t weak either. The elderly gentleman (whose name I never caught) with a relaxed smile gently slapped low down on my shin and it felt like I had kicked the corner of a brick wall. When I put my kicking leg down it nearly collapsed and I had a deep black bruise for several weeks. I never saw the gent again but I have no doubt if he was in a malevolent mood he could have done much worse. This was my first introduction to Iron Palm or Iron Hand. Since then I have trained with a teacher who would casually drill into bricks with his finger whilst watching class (Sifu McNeil) and one could could create dents in metal with his punches (Sifu Starr). Traditionally most styles of Kung Fu contained some form of ‘Iron Palm’ practice. Iron Palm does not in fact refer to a method of hand strengthening but to the results of correct training – traditionally every sect (Pai) would have its own method. Sometimes it is referred to as Iron Palm or Iron Finger as the practices emphasise that aspect. Sometimes as red sand palm or similar due to the training method. It is difficult to make blanket statements about ‘Iron Palm’ and its efficacy as different trainings methods will bring about different results. I have met countless individuals who have told me they damaged their hands doing Iron Palm yet upon questioning it turned out they just hit a solid object lots of times. Not the smartest bunch. This is certainly not Iron Palm. It’s equivalent to someone saying they had acupuncture and it made them blind, only you later find out that the acupuncture was self administered via a needle through the eye. Iron Palm practices aim to increase the bone density this not only makes the hands less vulnerable to damage but also heavier and more capable of damaging (think of being hit with a piece of metal rather then a similarly sized piece of wood). Alongside this the methods develop the tissue and muscles of the hand making them stronger and protecting the tendons and veins. Yet Iron Palm is not just about toughening the hands. When done correctly Iron Palm teaches to strike with the whole body (not the arm). The body becomes like a massive whip generating a wave of force. The muscles of the hand are trained to instinctively flex open or closed (according to hand the formation) to maximise force when striking. These methods should also increase blood circulation (and, from a traditional Chinese medical perspective, qi flow) to the hand. This is of great help to qigong practitioners, who tend to find that the practice increases subjective feelings of energy in the hand. It is also of use to those who use the hands for healing and massage. Indeed one of the interesting aspects of Iron Palm training is that when done correctly it does not ‘deaden’ the nerves of the hands but seems instead to give them more sensitivity (perhaps due to the increased blood circulation). It is a common misconception that one aims to essentially damage the nerves to ‘endure more’ pain in Iron Palm – this is completely untrue; loosing any sensitivity in the hands would be a massive disadvantage in a fight as well as in life. Almost all Iron Palm alongside the striking portion contains components of herbal medicine (dit da jow – ‘hit wine’), accurate body mechanics, qigong, specialised breathing methods and lifestyle pointers. Authentic Iron Palm methods developed over many years with a great deal of time, trial and error, body feel and contemplation. In common with the aims of all good Kung Fu good Iron Palm aims to build the body up, not break it down. It is a gradual process. People used to everyday exercising and pushing themselves to the limit tend to want to bring the same attitude to Iron Palm. It must be remembered that pushing muscles to ‘failure’ means a bit of aching the next day and then they grow back stronger, pushing bones to failure equals making dust! Developing the hands without damaging them or creating calluses is a slow process. In most systems to make initial gains is supposed to take 100 days of daily practice, after this the hands should be significantly stronger but really Iron Palm development should be a part of regular training and there is not a ‘stop point’. Just as a swordsman would keep his weapon sharp so too must the hand strength be maintained. Nowadays Iron Palm it is often thought of as an advanced aspect of Chinese martial practices, kept back for senior students, but in fact it was more often a foundational skill – one usually learnt in the first year of training by adults in my school. One of the reason so few ‘traditionalists’ can use the techniques from their forms is that many of the hand positions require conditioning to utilise, and this skill cannot be developed through form practice. Even one of the safest hand formations, the basic fist, is very vulnerable to damage when hitting another person with force. In fact many of the most devastating strikes in boxing were developed after the glove was brought in as they would have been too likely to damage the strikers hand in bareknuckle contests. This evolution was echoed in MMA – once gloves were introduced competitors were actually able to strike harder then before. In a fight or a competition a damaged hand is a massive disadvantage. So when learning a form which utilises powerful hand strikes many are effectively coming to a knife fight with a toothpick, fine against imaginary opponents in the air but less good when you really need it. If even the basic fist is susceptible to damage how do practitioners of Chinese Martial arts and Karate expect to be able to use exotic hand formations – for example those which increase pressure on a small area of the hand (ie pheonix fist, finger strikes, dragon head strike)? These are designed to deliver more force to a smaller area on the opponent (think of being struck by a hammer verses a frying pan). Often I see people practising these fists in their forms but they couldn’t even hit a heavy bag with them. This is delusional. Some internal stylists say they don’t need to develop strong handsit but there is plenty of historic evidence that their forefathers practiced hand conditioning ; whether it is Sun Lu Tang striking a cannon, the Chen Taiji villagers using sandbags or the Ba Gua Zhang entrants to the 1933 Guoshu tournaments who practiced red and black sand palm, if we begin digging we very quickly see that hand conditioning was a vital part of training. Hand conditioning is not an exclusive concern of Chinese Kung Fu practitioners the same is true of Karateka, the makiwara (striking post) was a vital part of practice. Gichin Funakoshi, in many ways the father of Japanese Karate, stated that the makiwara was not necessary if one only wished to train for health and not self defence. Another way of reading that statement is that if you want to fight with Karate you need to use the makiwara. A karate school without a makiwara practice is more often a dance school then anything else. Even in the west prior to the introduction of gloves boxers like Jem Mace are documented as using herbal recipes and soaks to support hand conditioning. Don’t alter the method whilst still learning. If you are learning from a skilled teacher have faith in the method, if unsure of any aspect ask. Don’t presume to be able to change things as you may not yet understand their importance. For those distance student interested in Iron Palm training check out the dvd and online resources at Iron Palm Productions. Watch out for the next article in this series where we will discuss various methods of hand training . Till then keep well and train hard! Chris The post Iron Palm training: What is it and why do it? 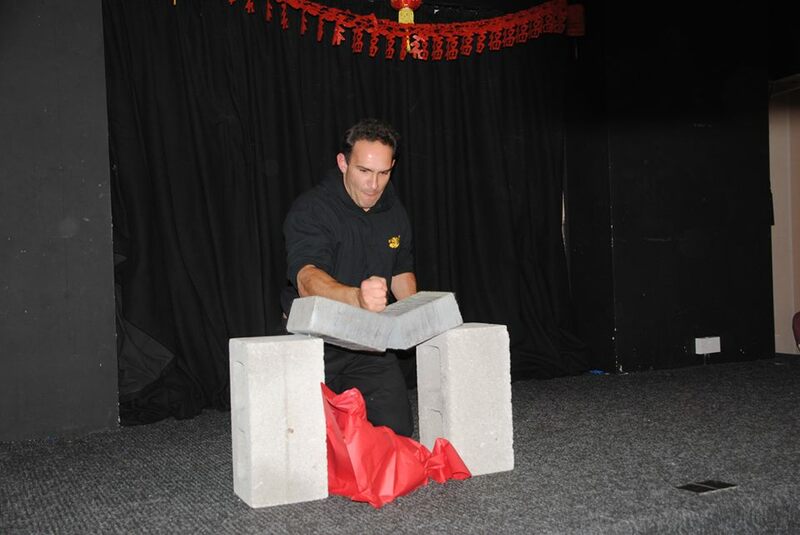 appeared first on Tao Jia Martial Arts Manchester.